Gillian and I spent the day (and night) crewing for friends. 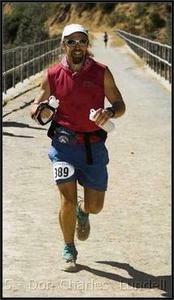 In particular, our friend Brian Wyatt was running his first 100 miler. The Rio del Lago 100 and the Sierra Nevada 50 miler are beautiful running tours of the late summer Sierra foothills.